I sat back in my chair with my cup of coffee. It was brisk outdoors but warm within. I gave myself permission to just sit for a moment. The frosty windows communicated a sense of warmth and coziness within our home that I dearly loved about the season, but I felt my heart and mind skim right over that awareness of cozy and jump squarely into tumult. Today we would begin to prepare the home for Advent. As I sat there in my chair my mind ran through a thousand “things” that needed to happen. Potty training (one daughter). Wedding planning (another daughter). Homeschool planning (for four kids). Blogging and sharing. Conference planning. Menu planning. Hospitality to exercise. And then there was Advent. A quiet time of preparation for the Divine Infant. Quiet? Not in my mind. I could barely wrap my head and heart around the books and delights of the season that I longed to sink into because I was mentally juggling every detail of every to-do of EVERY-thing. There was a definite sense of overwhelm that ran through me. I was stretched and I knew it. Yet there was very little I could shove off my plate. 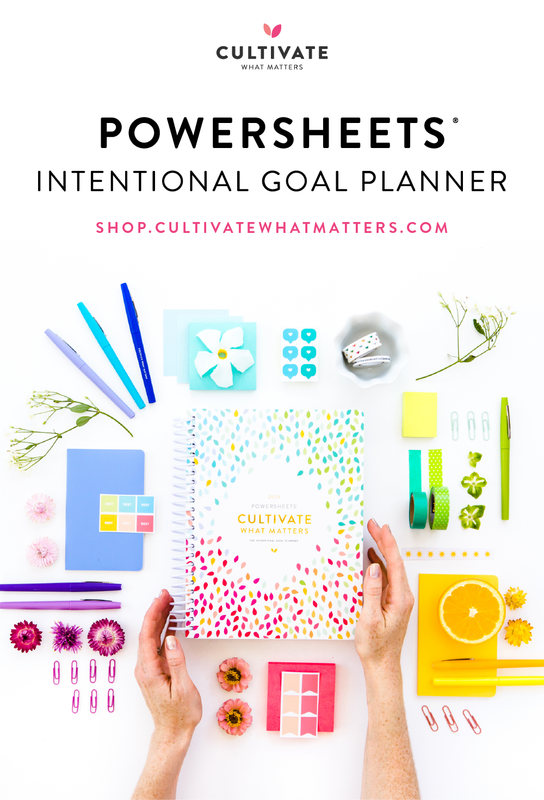 And then I heard in a random circle about a goal planning tool – PowerSheets. I’m actually a pretty good goal setter, a motivated finisher, and quite organized by nature (thank-you, Mom! ), but I admit that I was in the midst of a season of life that had me scrambling. Frenetic is probably a good word to describe it. I was Martha-squared. And I knew I was missing the Mary-moments – time to sit at His feet and contemplate, wonder, and choose the better part. I didn’t want to lose the sweetness of anticipation that Advent brings as we prepare with wonder and anticipate with the eyes of a child for the dear Infant Savior. I didn’t want to be so busy or bulleted that I missed the precious remaining days with my oldest daughter as she planned for her wedding and prepared to begin her own family. I didn’t want all of that busy-ness and mind clutter to crowd out the people in my life that I loved – the people for whom all of this fullness exists. And yet. There was no denying that I had my fair share of Martha-work ahead of me. PowerSheets. The name itself implied a capability that I deeply desired. I began to research more and read more reviews. Lara Casey, the creator of PowerSheets, encouraged and described her goal-setting planner in a way that reached into my heart and settled into all of the frantic places. This was the tool I had been looking for. This was the tool that would be able to take my big picture and help me walk it forward – not for some measured output or success or accolade or surface recognition – but to help me make what matters happen. And that spoke to me! 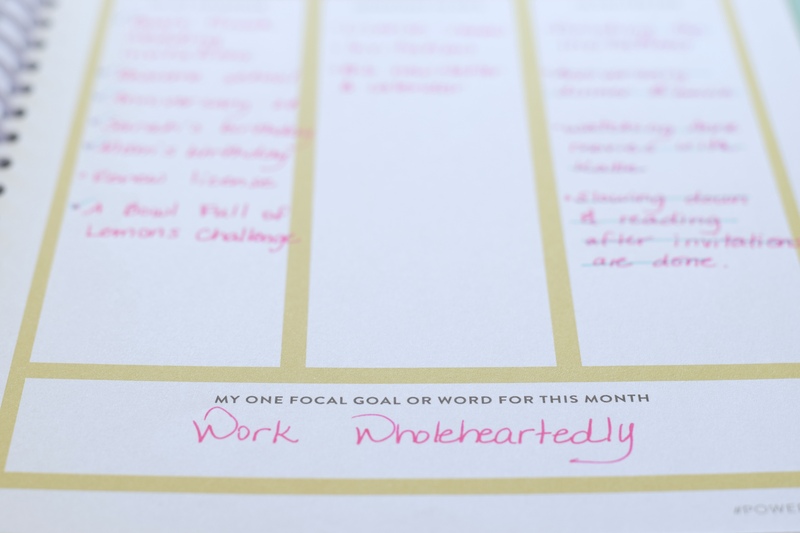 I thoughtfully prepared my goals for the year, and I tended them a month at a time, a week at a time, daily. Each season I re-evaluated and continued walking forward. I failed at times – many times, actually. At other times I seemed to flourish. But looking back over the year, the growth was extraordinary. It was considered and ordered in a way that isn’t rigid, but is good and right and allows a person to take a breath and say, “Yes, this is a moment I can inhale and live out and relax into. I joyfully hoped for this moment.” But it also allows a person to say, “Yes, this is a moment I can see that I am going to have to extend myself some grace and cut myself some slack. 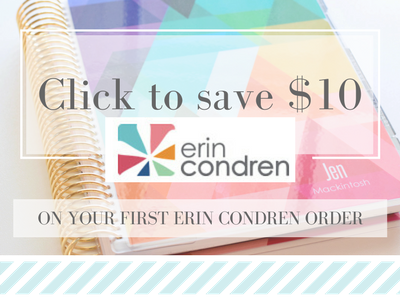 And try again.” Looking back over the past year, I can see how this goal planning tool helped me organize a phenomenal number of goals and grow my vision even broader than I had originally anticipated. 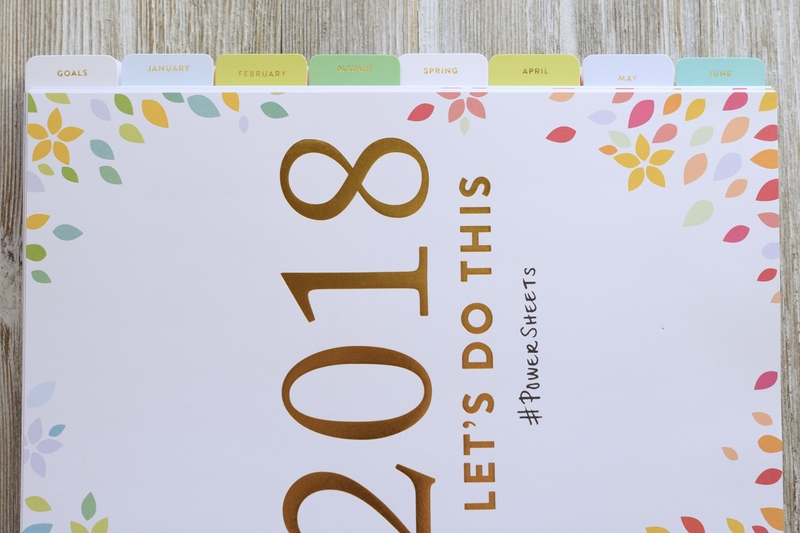 So this year, I get to share this fabulous goal planning tool with you, share a few peeks at how it worked for me last year, and let you see inside the new 2018 PowerSheets that launch TODAY – October 25 (at 10 am Eastern). You’ve already seen that this is a coil bound notebook. 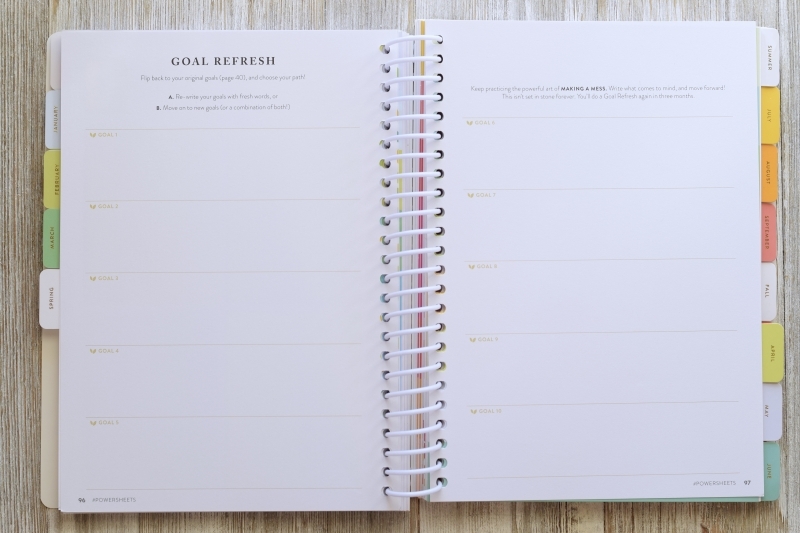 I like using the 12-month dated goal planner, but there are 6-month undated goal planners if you’re just not sure this is the right tool for you, or if you’re starting off of the January-December timeline. 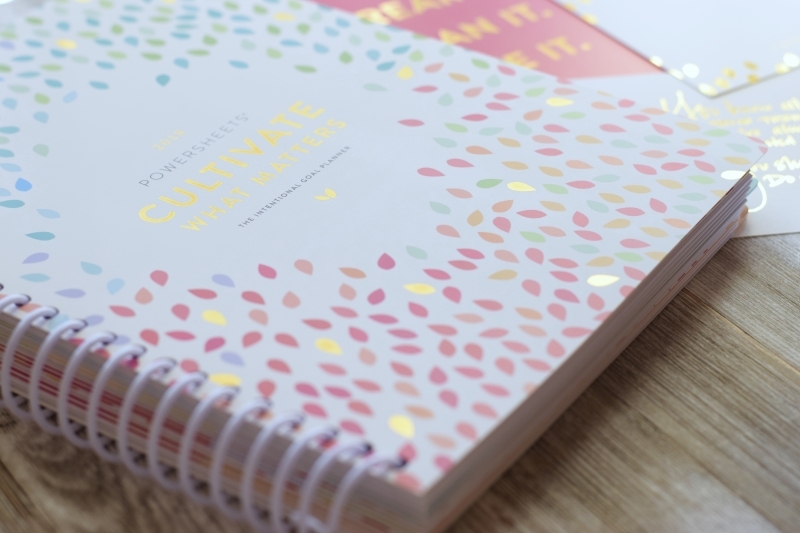 Each goal planner has 2 pages of coiled in stickers – these are fantastic for adding to your agenda/planner (not necessarily your PowerSheets) to link your planner and your PowerSheets. 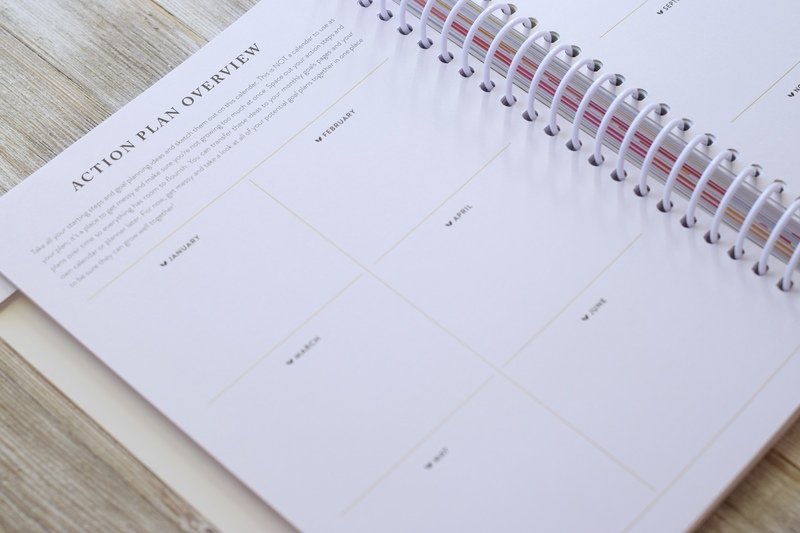 Think of it this way – your PowerSheets are where you lay out the road map, your planner is where you drive it down the road. The stickers help link the map and road! 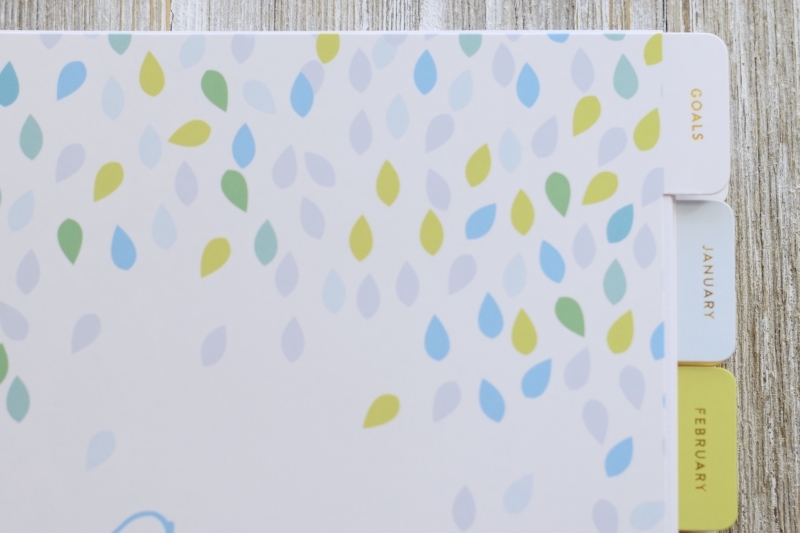 With each order you receive a few beautiful post-card sized motivational cards. Although quite simple the cards are full of gold foil and I love setting them out as visual reminders. The goals tab – this is where the majority of your time investment will go as you consider the year upcoming and where you want to be. 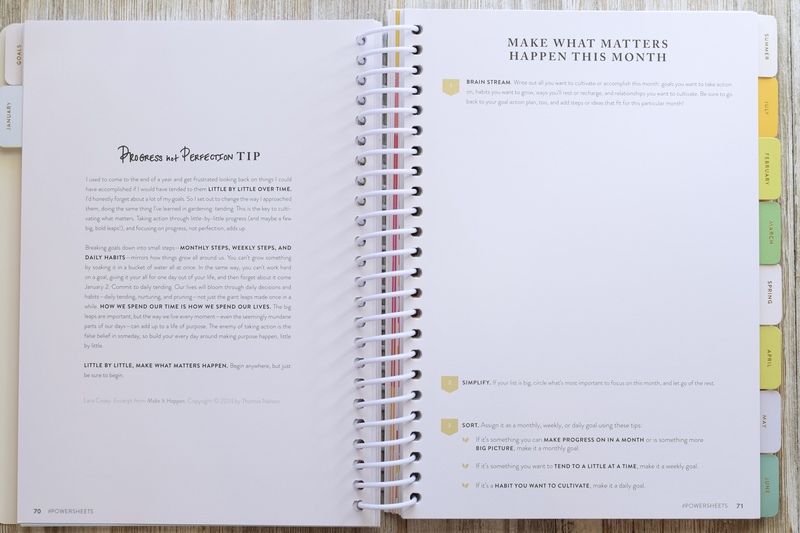 It’s a detailed section and the pages within are structured and formatted to hold your hand and help you strip away the superfluous and get down to what really matters to you. You’ll spend a lot of time here before January. I’m really looking forward to spending some time contemplating and considering my goals for 2018 during Advent this year. The monthly tabs – there is a monthly tab for every month of the year in the 12-month planner, starting with January. Each monthly section helps you refer back to your big picture goals and break them down into actionable, workable steps. The key to the monthly section is the tending sheet for each month. More on these amazing tending sheets below. The seasonal tabs – Oh my stars! Of course your goals may change or shift – because LIFE!!!! The seasonal pages assume that exact fact and help you re-evaluate and re-frame your goals each season so that you’re always walking forward. The seasonal tabs make your goal actions feel just as relevant in December as they did in January when you started with those lofty intentions. There are 3 seasonal tabs: spring, summer, fall. 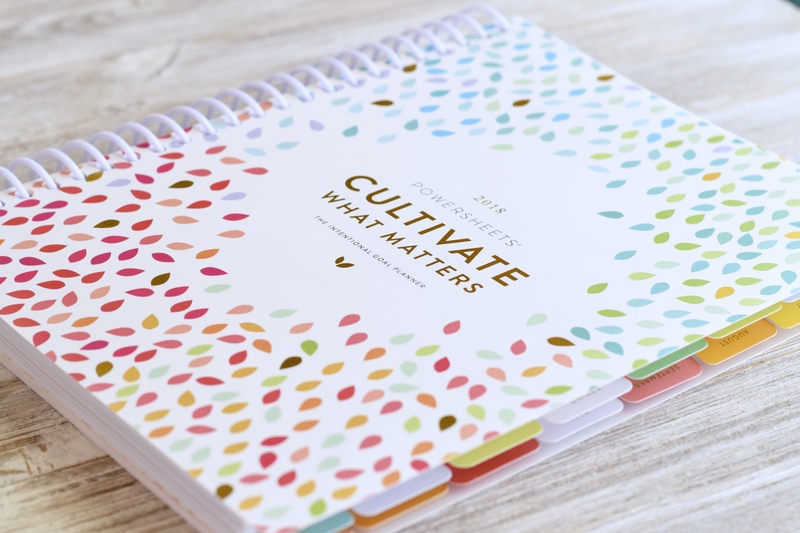 The winter seasonal session is the time you’ll spend prepping your Powersheets in the goals section. 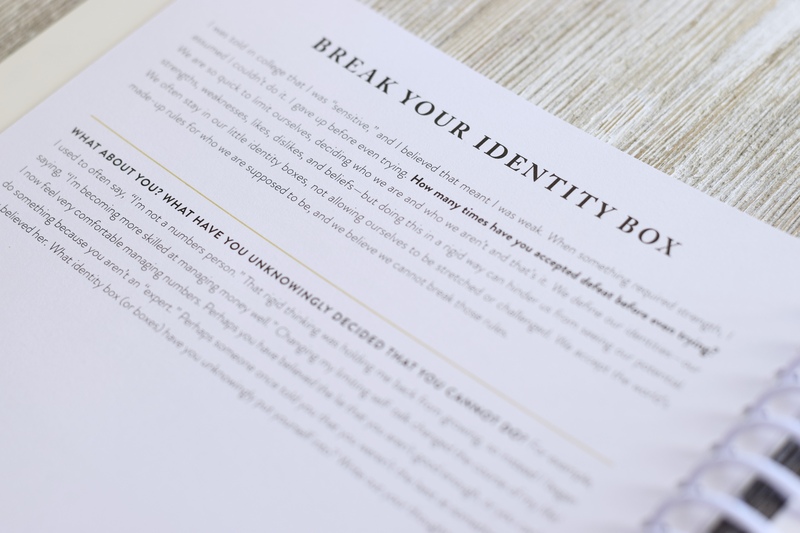 These pages are intended to help you uncover ideas and get to your true self – you know, the one that is sometimes hiding behind the face of steel – yeah, that one. These pages are meant to get your pen working and your heart opening as you start to read, consider, write, reflect, repeat on these first pages. There is a reason I don’t share pictures of my completed pages – they’re raw. And yours probably will be as well. And that’s ok. 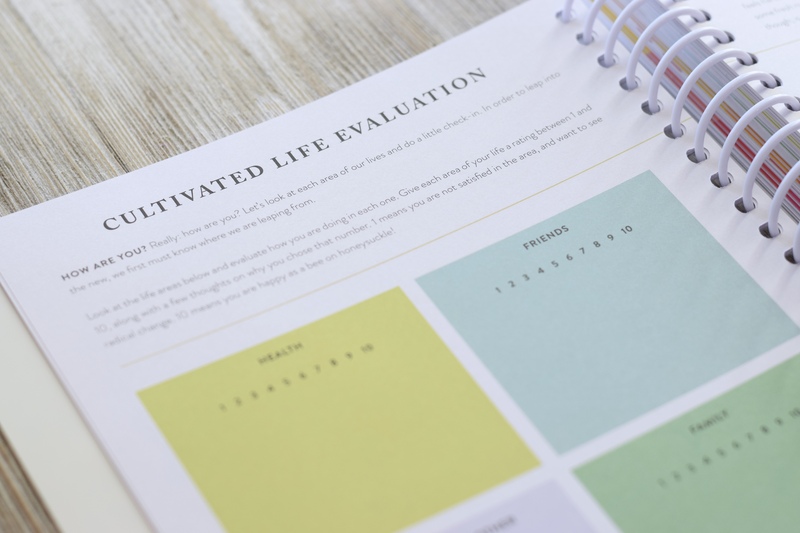 This section has us acknowledge areas from which we may need to detach and implies areas we know need pruning – and pruning is always painful, and it always yields fruit. Prune away! These pages (above) are new to this year’s planners, and they are one of my favorite additions. The little squares remind me of the simple and functional post-it note (and you surely know how much I love my post-its!). 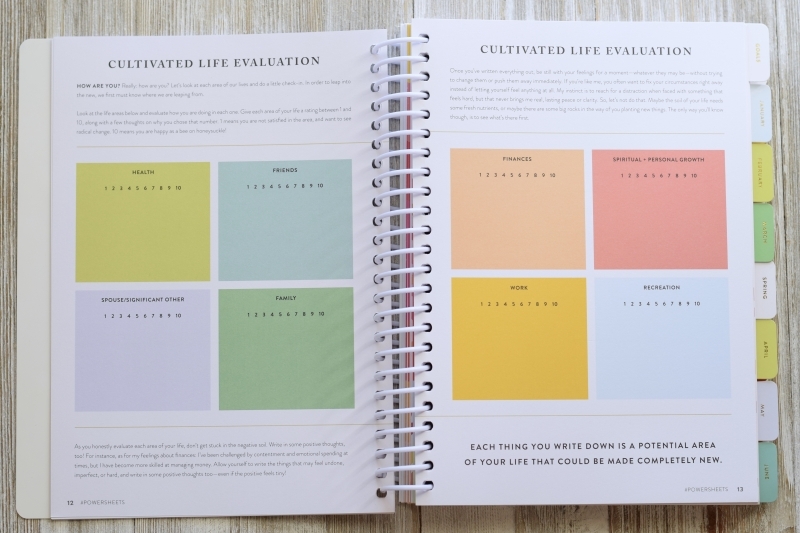 I love the simple paper containers that allow you to consider each of these areas of your life and evaluate. You might be totally satisfied in one area and completely ready for an extreme turnaround in another. This will be helpful in bringing focus to the goals we’re about to set. Sometimes after a brutally honest evaluation, those realizations can be overwhelming, or they could be totally motivating, or a combo of both. 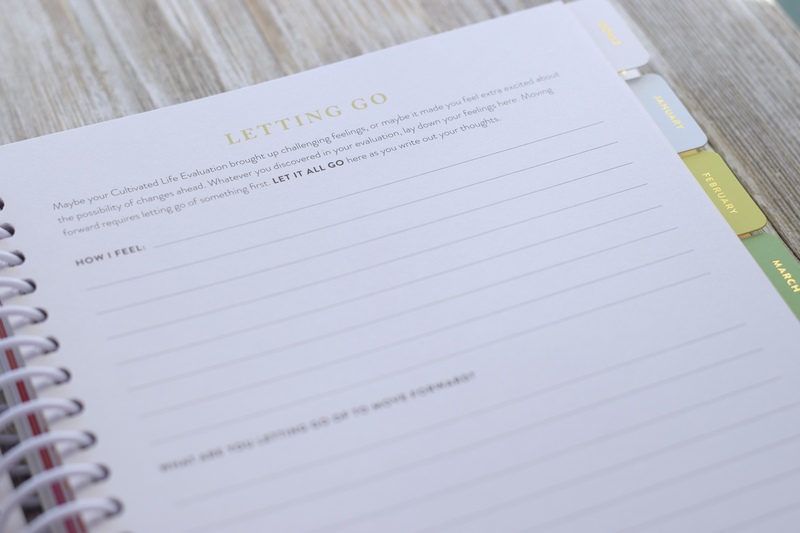 This page gives a space for you to journal your thoughts and also to list something that you may need to give up – an attachment that is preventing you from moving forward. Just beyond this page (not pictured) is a page designed to help you meet your fears. What a beautiful page! 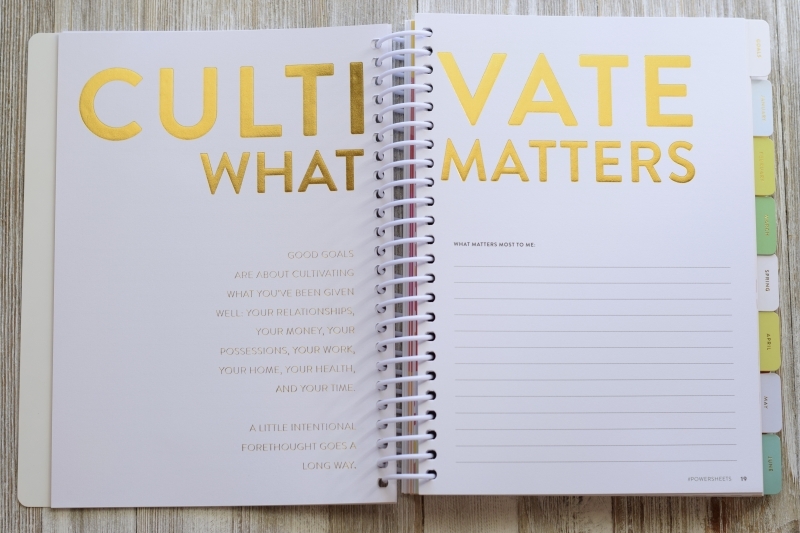 Gold foil letters – C U L T I V A T E W H A T M A T T E R S. The analogy of gardening and cultivating runs through the Powersheet workbook and it’s an evocative one. The idea of weeding and rooting out things that are choking the fruit (goals) from blooming in abundance – the analogy is a rich one. 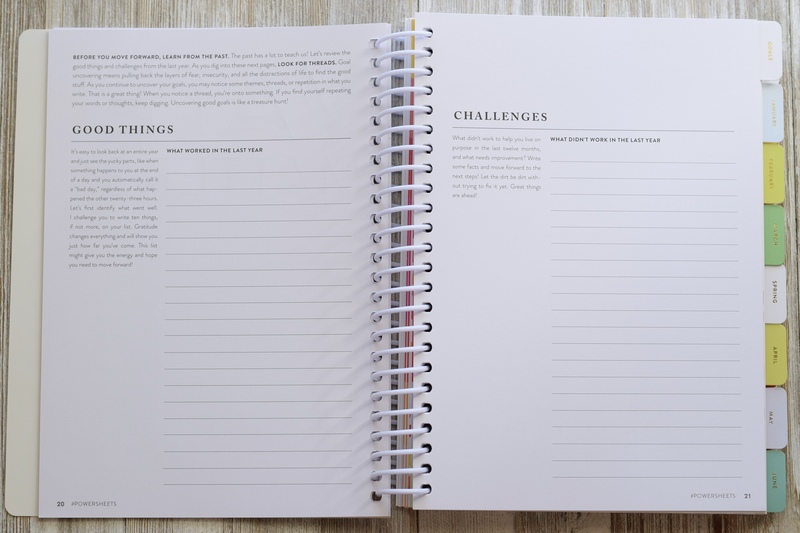 This page was one of the most effective and helpful pages for me – I listed out bullets for each heading – good things that worked and challenges that didn’t work. This. If you get nothing else, it’s this. Social media and blogs are a blessing. People have taken time to share and encourage. If you allow yourself to peek into someone else’s reality via social media, don’t allow discouragement and comparison to steal your peace or your purpose there. If an image you see or an idea found is inspiring somewhere, give thanks, take the good, and continue walking forward. If an image threatens your peace, click away, give thanks, and continue walking forward. 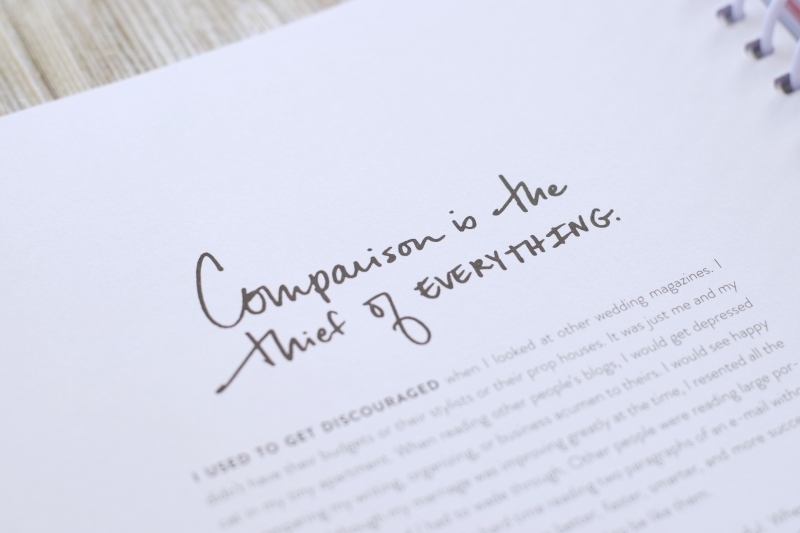 Do not fall prey to the comparison trap. It will ensnare you like a tarbaby and poison your efforts. I skipped over a few pages (because this post is going to be long enough!) to get to this page…because…I’m actually a Powersheets rebel. A non-conformist. I don’t choose a word. I know many of you derive joy in this practice, and if so, you’ll really enjoy wrapping up this section before you get to your goals with the thought of a word that can act as an umbrella for you, enfolding you and your actions and goals under the safety of its mantle. I’ve always resisted things like this, not that they’re bad, but because I tend to operate in a different way entirely. If I choose a word at all it tends to be a verb – like, “consider” or “work wholeheartedly” – or a virtue to aim for – like temperance or charity. I don’t want a word that evokes emotions because emotions don’t have staying power. 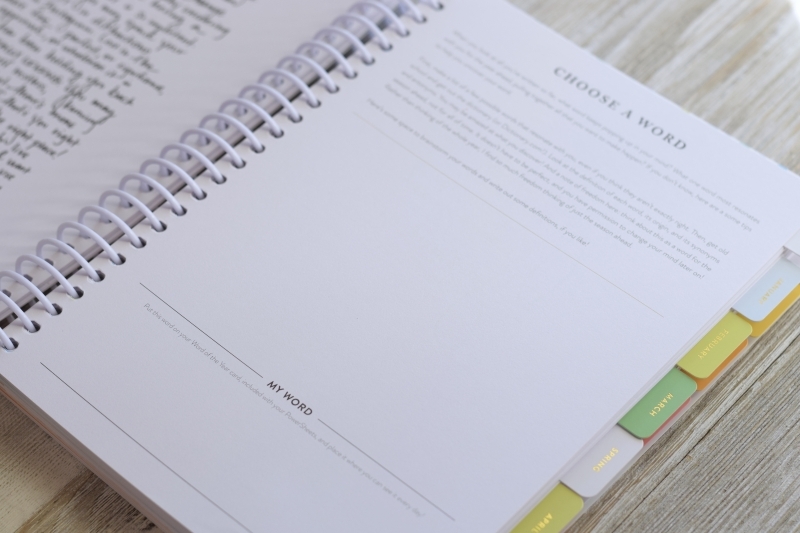 There are actually a couple of pages before this that allow you to freewrite and brainstorm goals – just blank pages to act as a word collage or a word cloud that will help provide some direction for the above pages – a list of goals. Ok. Goals. Now what? 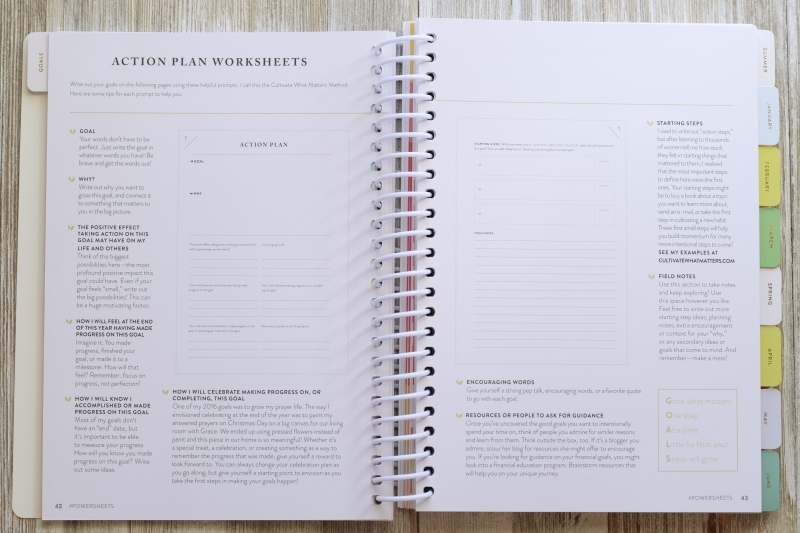 This 2-page spread walks you through the process of uncovering action steps with concrete examples and tips! This page is much more detailed and simple in its text and formatting than last year’s planner was and is so helpful! Each of your goals will have its own Action Plan. 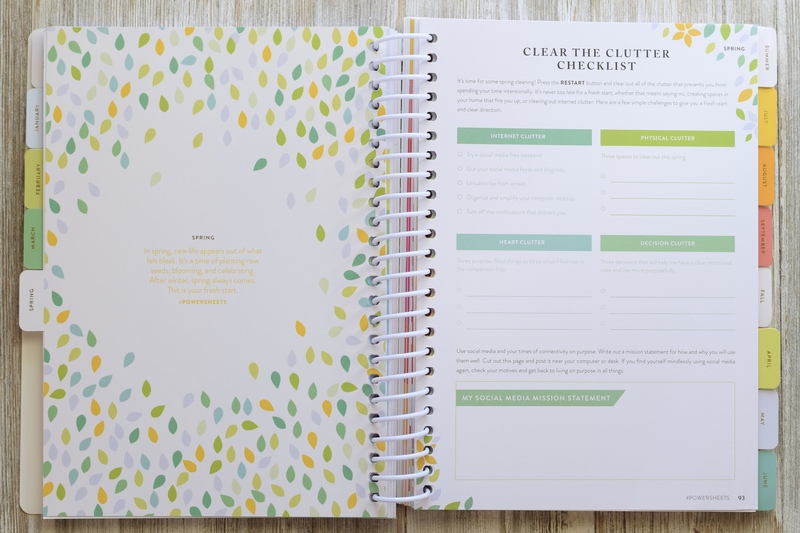 Since there is space for listing 10 goals, there are 10 2-page Action Plan worksheets. When I got to this point last year I really felt like I was starting to break big goals into bites I could imagine myself dealing with. It really helped me think about how I would break down each goal. 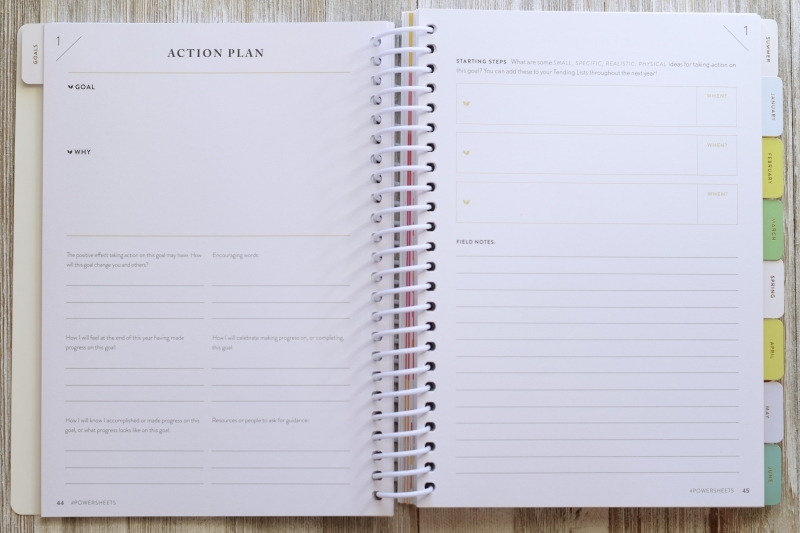 The final page in the goals section is an Action Plan Overview, and it’s also a new addition to this year’s goal planner. I can’t tell you how intuitive I find this page to be!! 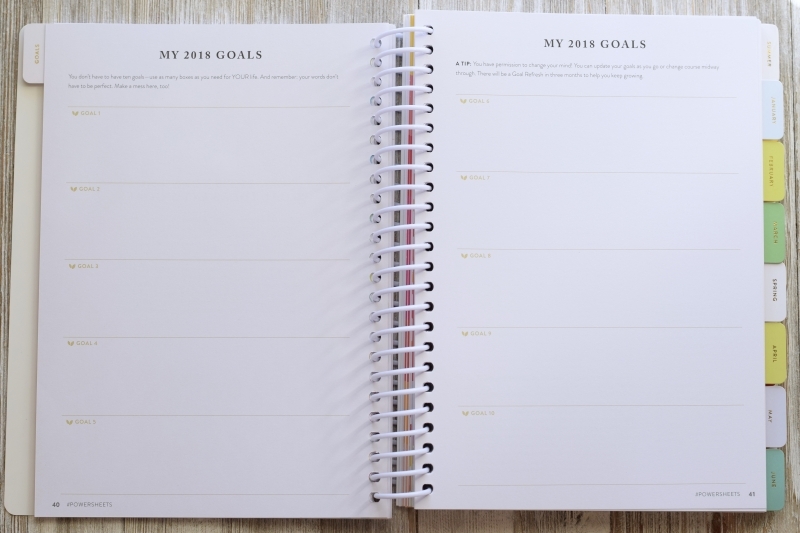 If I’ve just listed my goals, and I’ve considered each one in detail breaking out some starting steps, the next logical thing is to start considering how I’ll space my actions and goal efforts. 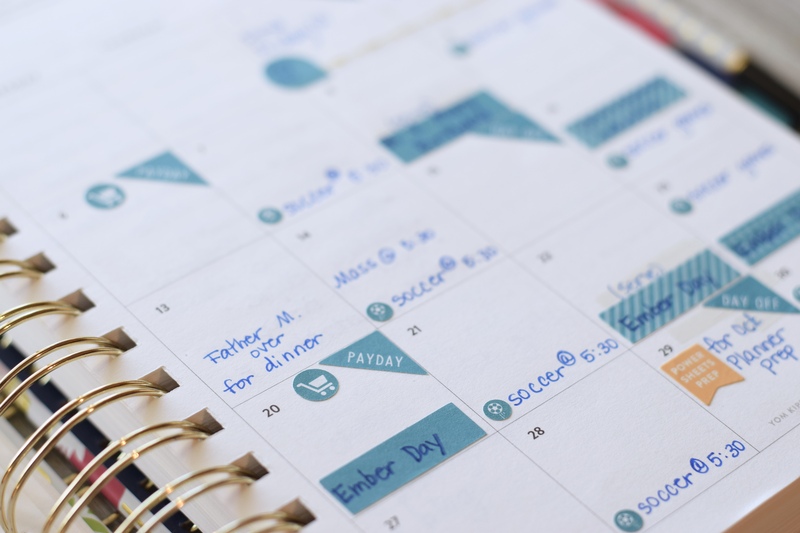 Some goals will naturally peg themselves to a specific month (like my daughter’s wedding), and some will be a little more ambiguous. Drop in the goals that are fixed to a specific period of time first, then start spreading out the rest of the feast. Before we get into the nitty-gritty of the monthly sheets, let me just point out the beautiful divider sheets. 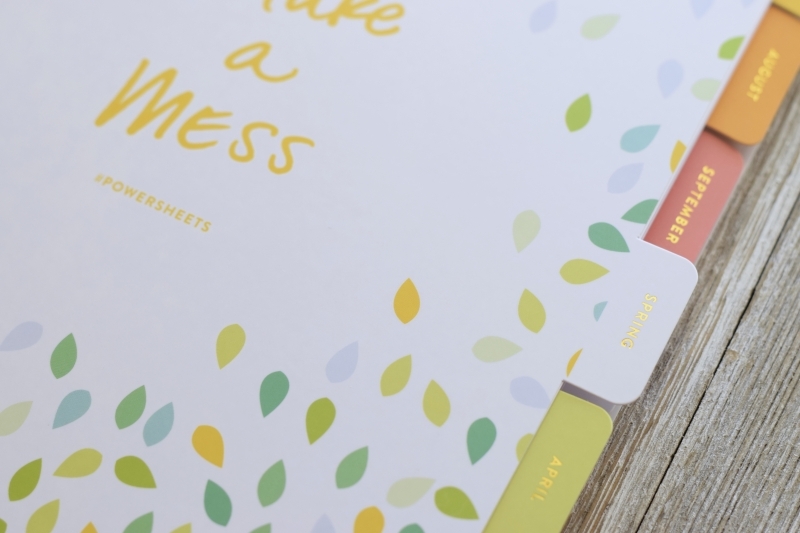 While most of the Powersheets workbook is paper, these tabbed divider sections are made of the same thick, plastic material as the cover. Each one has a motivational phrase, and each one has a ribbon of colors – the cool colors are represented from January to June, and the warmer colors are represented from July to December! The attention to detail, friends!! Ok, now we’re living this. We’ve got goals and an action plan and a basic idea of when we want to tackle what. Now, it’s time to start merging real life with these goals. The left facing page is called a wildcard page. 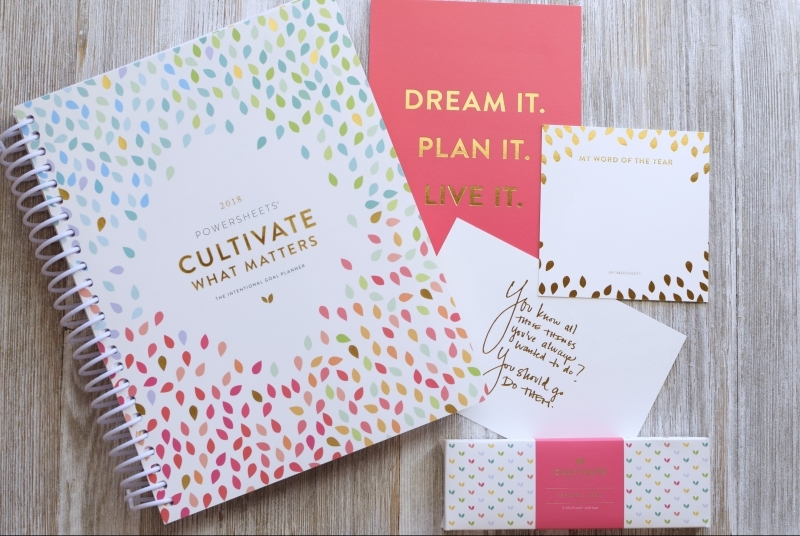 The Cultivate What Matters team knows that we’re each unique, that we’re each operating out of a different season of life, with different needs. This blank page is meant to flex with you and your season. 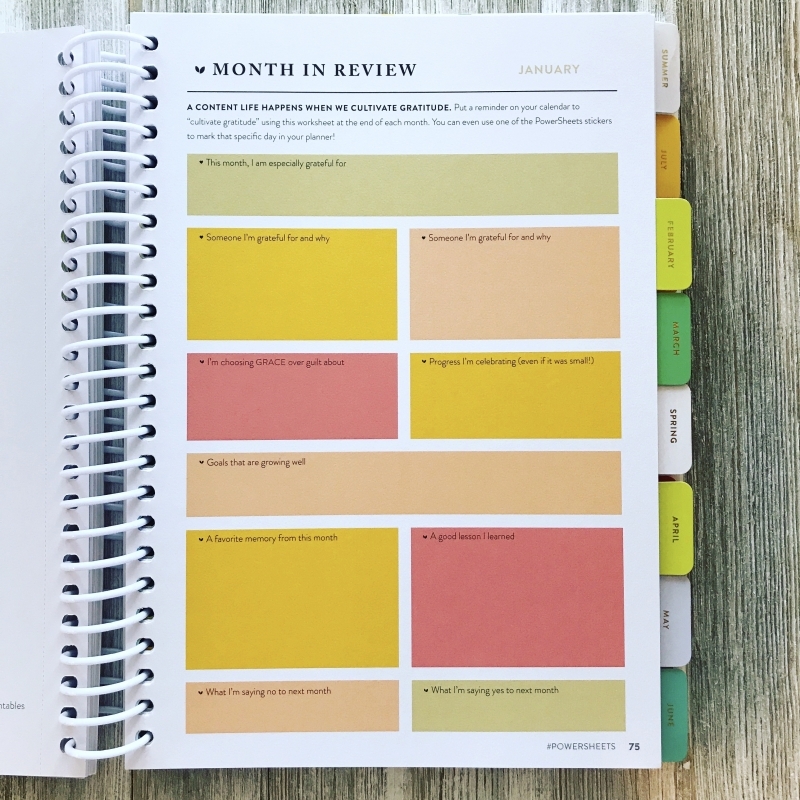 You’ll find several different wildcard pages you can choose from, print, and add to your Powersheets – financial check-ins, monthly budget, meal plan sheets, content planning for your blog, self-care, organization, home tending – and more! I love this idea! What is speaking to you? What needs a little extra effort or intentional care? Find your printable and fold it into your monthly goal tending! I resisted the Let It Go page at first. But it is actually quite helpful. We all trip over ourselves – get it out on paper so you become better at recognizing patterns of behavior (habits) that are getting in your way. This monthly page (above) helps you begin to funnel and streamline your goals. 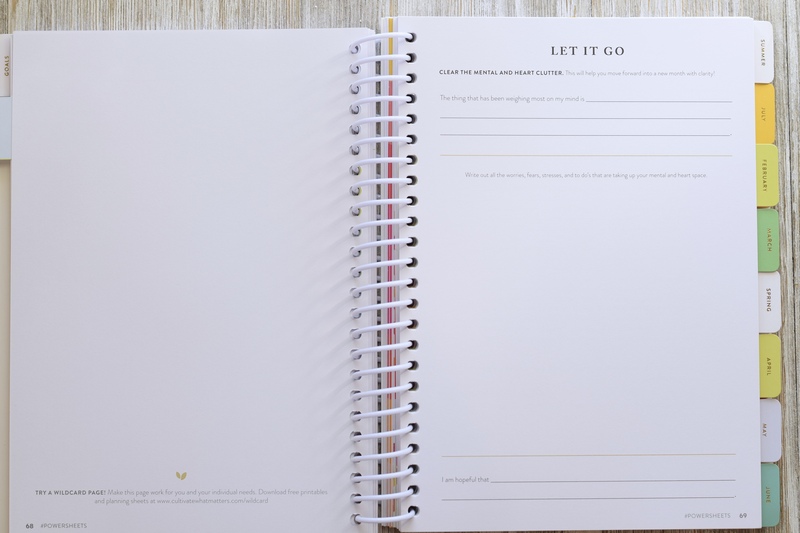 My list is always a mile long, so I appreciate the reminder each month, after I make my super-human-list, to circle what’s most important and let go of the rest. And now – the tending list. 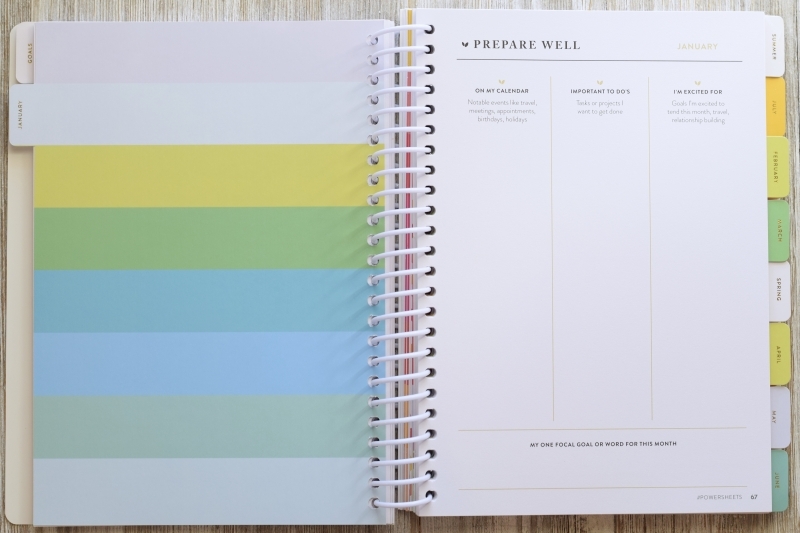 This page is the engine of this planner. 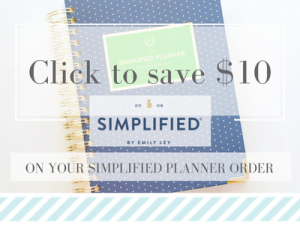 Simplified, filtered, streamlined, and considered – your final monthly, weekly, and daily goals land here. This page is perforated and I always take mine out and put it on a clipboard that I keep at my desk. I check in with myself at least once a week to record my progress. (I’ll share a picture of one of my tending sheets and clipboard down below). Each month, you repeat. 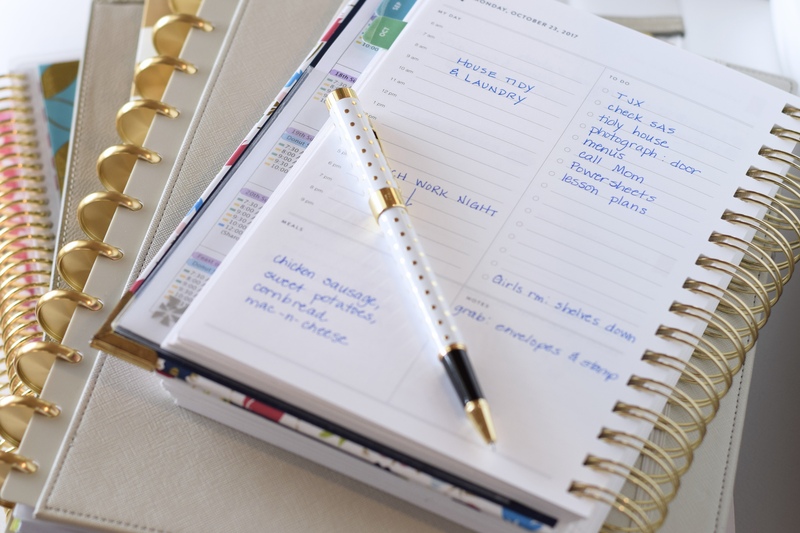 Merge your calendar and agenda, consider your goals, streamline to something manageable, and tend them. And at the end of the month, there is a page to wrap up. You can celebrate progress, and identify where you didn’t meet your goal. Don’t be discouraged with goals that are consistently being neglected. Last year, I had a major goal that was really important to me. Each month I intended to work on it, and each month it was the one thing that was left behind. Until last month. Last month just seemed to have the perfect mix of available time and motivation – it was just a fit. And that goal took off. 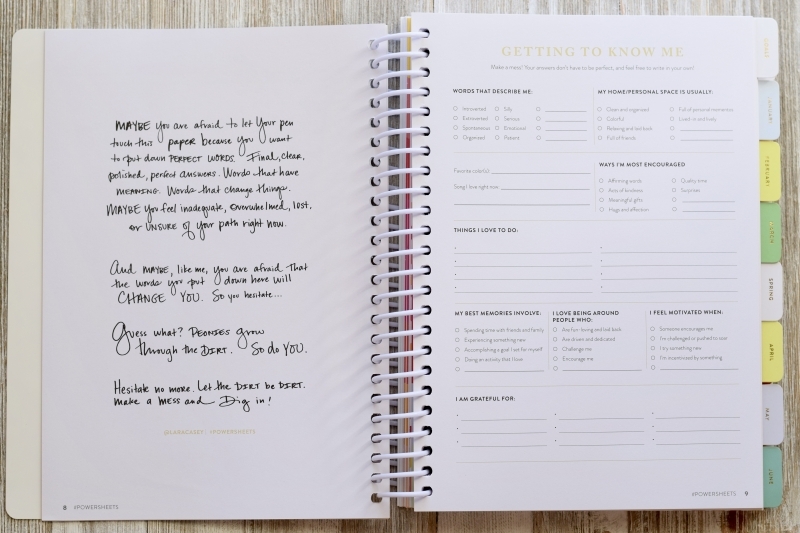 When I initially bought this planner, it was the idea of having a seasonal refresh that cinched the deal. Because…I know. I know life. And I know plans. And I know God’s plans trump mine every time. Having an opportunity to refresh and reconsider in light of God’s redirection in my life is imperative! Clearing the mental and physical clutter strips away all that noise that creeps in and helps quiet thoughts. …and then re-consider goals anew. In light of a new season. Update them. Reword them. Refine them. Let something go. Bring something else in. 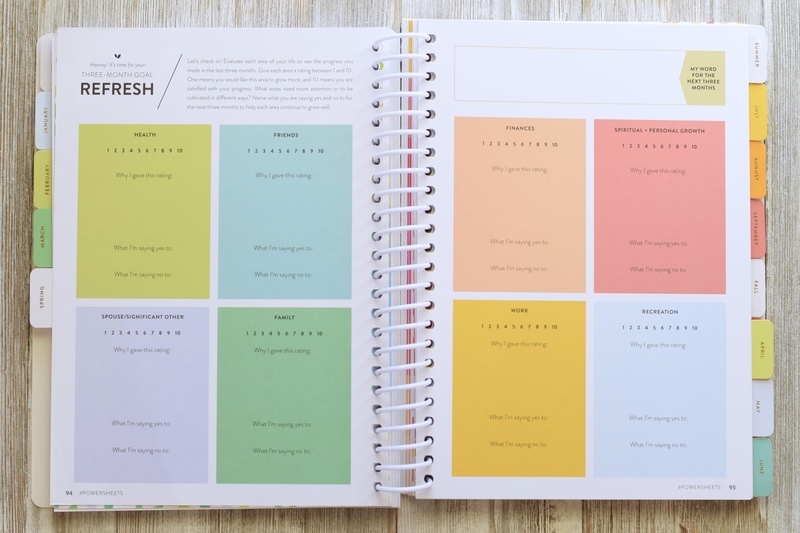 It’s my hope that these pictures give you a sense of how this goal setting planner tool can walk with you and help you organize ideas and goals so that you can break them down into actions. Now let’s look at a few pictures of my Powersheets from this past year. This is my October “Prepare Well” sheet. I’m really working on considering first. I tend to just act – to blaze forward and deal with the consequences later. Bad idea. This is my tending sheets clipboard. I have January through October clipped there and it’s a great mini-journal of my efforts toward what mattered most to me for the past year. 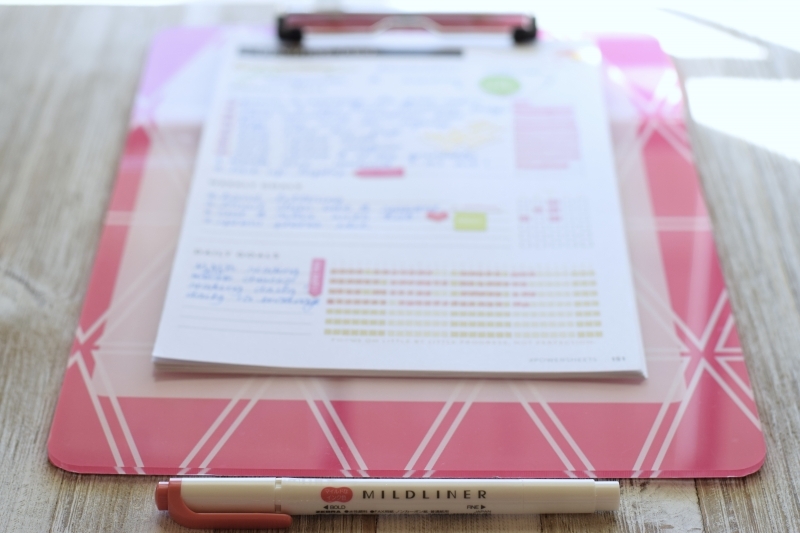 There are so many ways to mark off progress on your tending sheet, but my favorite way is to use this bright red highlighter (a Zebra mildliner). And finally, there are a couple of new accessories available this launch!! 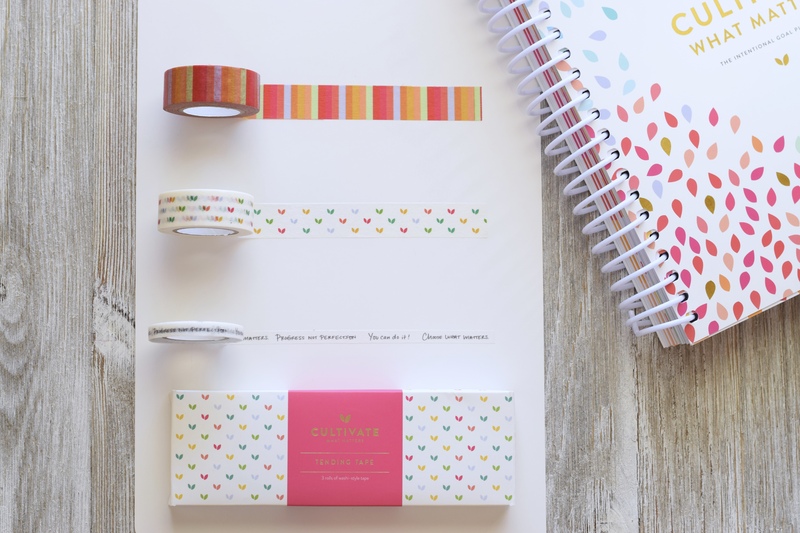 One of which is this adorable tending tape set that comes in signature Cultivate What Matters colors! 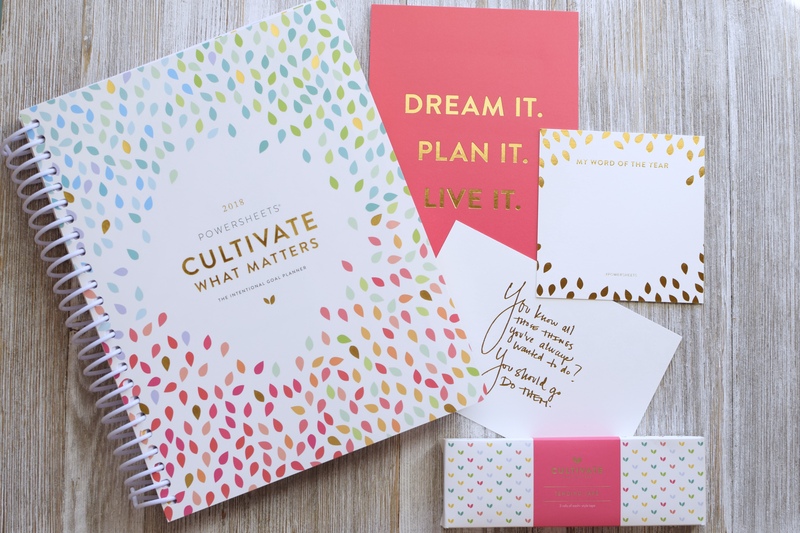 I love the skinny washi with the Cultivate What Matters motivational phrases!! These are perfect for adding those wildcard printables, but also in case you want to tape your tending list right into your planner, or if you want to use washi to decorate or organize a brainstorming page in your Powersheets! I don’t have the new sticker book yet, but one is on the way! Be sure to follow my Instagram – I’ll share more pics of the new sticker book there! With a tending sheet in hand, I begin transferring action steps right into my planner each week. 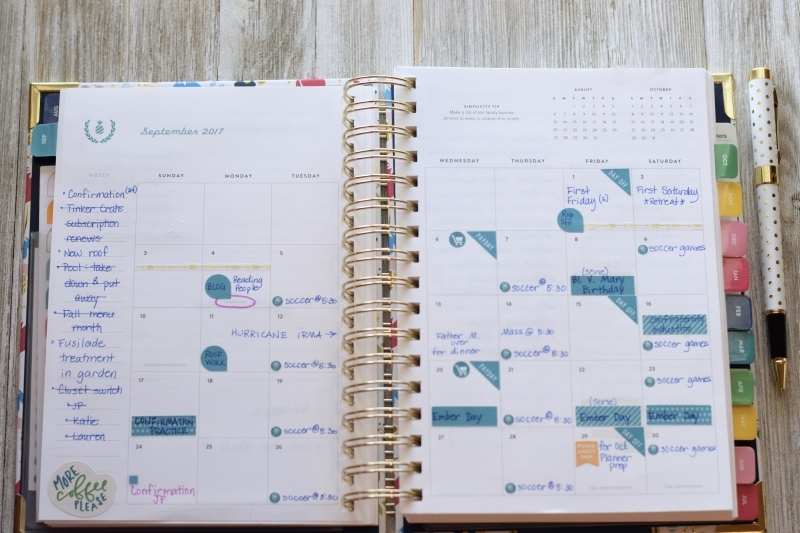 It’s a weekly ritual for me – I sit down on Sunday night with my tending list and merge my goals into my daily planner. And that’s exactly how the Powersheets are meant to work – in tandem with your daily agenda. Here I sit, almost a year removed from my initial realization that my season of life was barreling forward at an overwhelming pace. It has been a full and wonderful year. Not without mistakes, but there was so much joy (Sarah’s wedding) and satisfaction (meeting many of my goals!!) that this year, I’m looking forward to digging in once again. I’m eager to consider anew the goals before me, to grow my vision, to better serve and love, and embrace the stuff that matters. 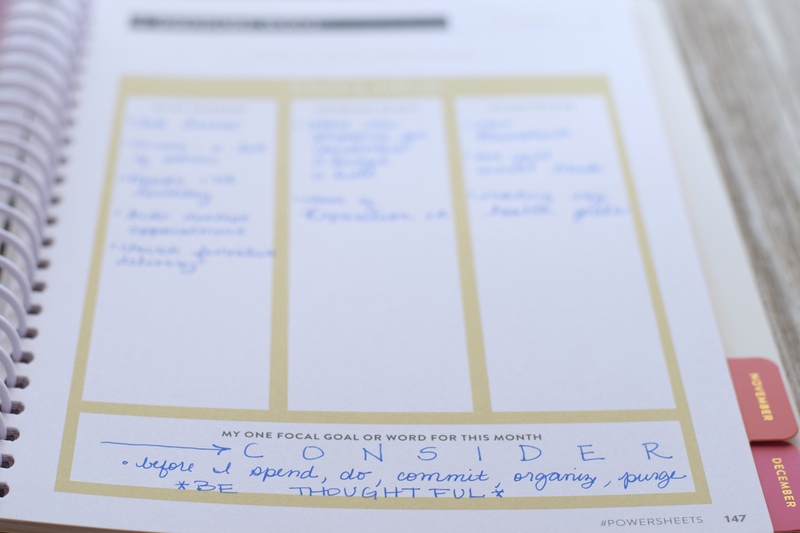 If you’re looking for something to help walk your plans forward – consider a set of Powersheets! From October 25-27 you’ll receive free shipping on orders over $100 with the code — FREESHIP!! Be sure to check out the accessories like the new tending tape ($12 for 3 rolls) and the sticker book ($12). Note: many of the links on this post are affiliate links – they cost you nothing to click through, but I may earn a small commission if you do. I’m grateful! This is outstanding! Thank you for sharing! I’m a fellow homeschool Mom and Powersheets user too! So detailed and beautiful! Love, love this workbook! Great review!!! Such an exciting day for Powersheet users!! Can’t wait to see all the seeds planted! Thank you so much for sharing this review! 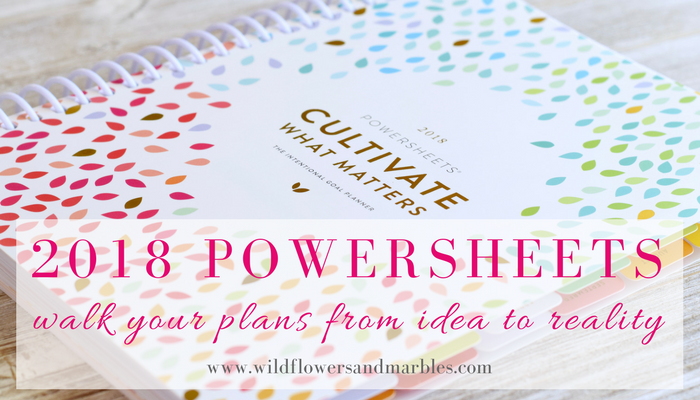 I’ve been meaning to jump on the powersheets bandwagon….its seems just so *me* and I’ve been doing some research for what I want to do to organize my life more in the next few months. I really appreciate you taking the time and effort to lay everything out about this tool. I also appreciate your approach to look at things/use tools in a sanctifying way—achieve virtue, planning, order, holiness, etc. This was so helpful! I like your “phrase not word” approach, my “theme” of this year has been, “Charity in all things” from a biography that I read in between Christmas and New Years of 2016. Just ordered mine! This is my third set of Powersheets but my first 12 month set! I’m so excited. 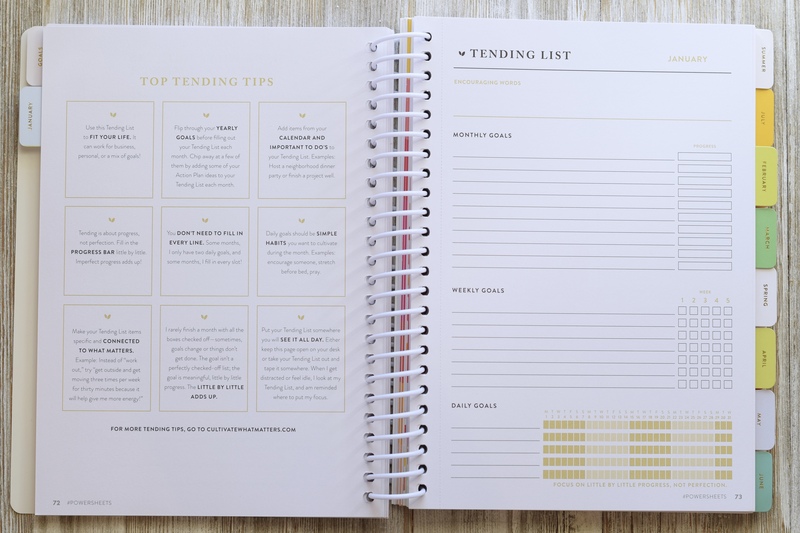 How do you use your EC Life planner pages – specifically the big, 12 empty boxes in the front and the circle pages before each month – without is being redundant with your tending list? I struggle with this, and those pages are still blank in my EC Life Planner, but I want to use them well! Thanks for such a thorough review and all the lovely pictures! I was wondering, I live in the southern hemisphere so our seasons are opposite – does the seasonal section relate directly to the seasons you are in or is it just generically put together? I have to factor in the great inconvenience of exchange rate and international shipping but I’ve been considering getting Powersheets for a number of years now – I still can’t work out what to do! It’s a pretty serious amount of expenditure, but if it’s as good as you say and works as well as it seems, then maybe I need to consider a little more seriously! 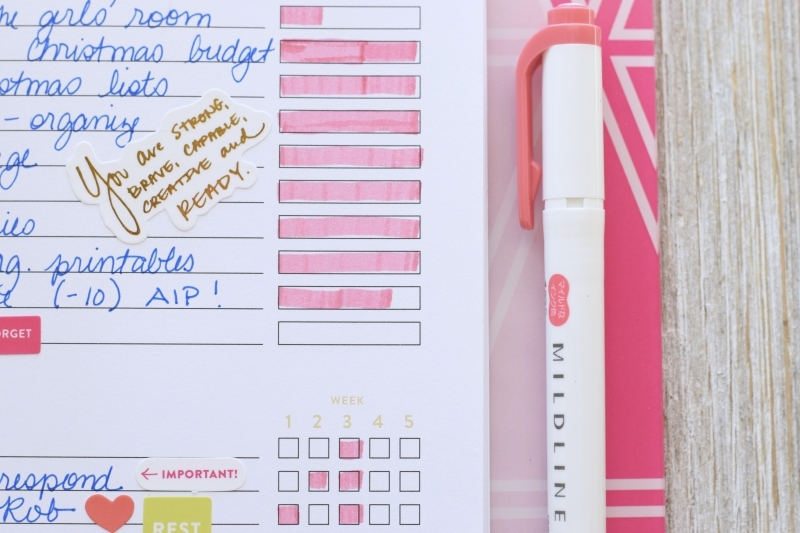 Have you ever done bullet journaling? except for the filled in calendar, it sounds similar and I am trying to determine which way I should go? In the past, I have not good at looking at my daily planner EVERYDAY, so the bullet journal got my attention. However, you point out a lot of really good pages on this. I do a modified form of bullet journaling as I plan, but I’ve never done bullet journaling in its purest form. Good luck deciding the best fit for you! You definitely have to go with what’s most intuitive-to-you!! Your review was great and I think it is what I need now- guidance/focus instead of a blank page, so I just ordered one! Needed a good tool to steer me in the direction God wants and I think this will help! 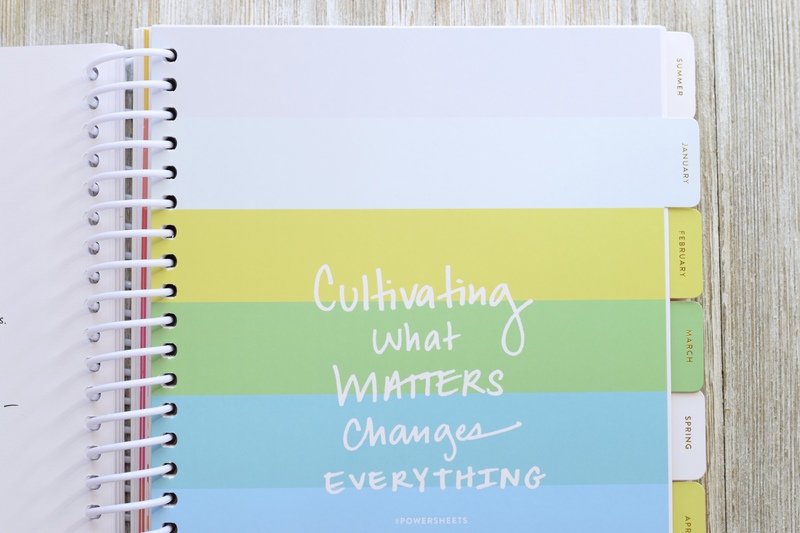 …I still take to heart your words from Grace Gathering in GR last year about rebuilding culture–this is my tool to help me focus doing “the next thing” thanks for sharing! I feel good about this and you saved me time researching too! Thank you so much for your kind words! 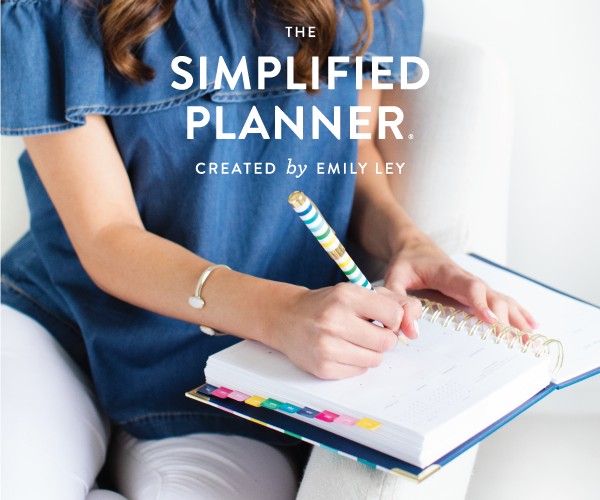 I’m so glad you’ve found a planner! Prayers that you can make it work for you!!!! Thank you for the review, very useful.